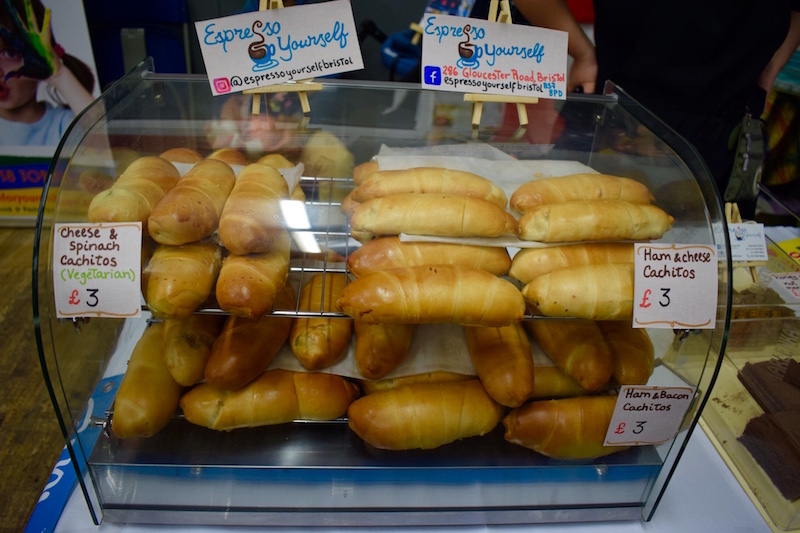 BristoLatino members Rebecca Wilson and Martha Parsons attended the annual Latin Fair in Bristol, to represent the magazine and savour some of the continent’s tastiest treats. 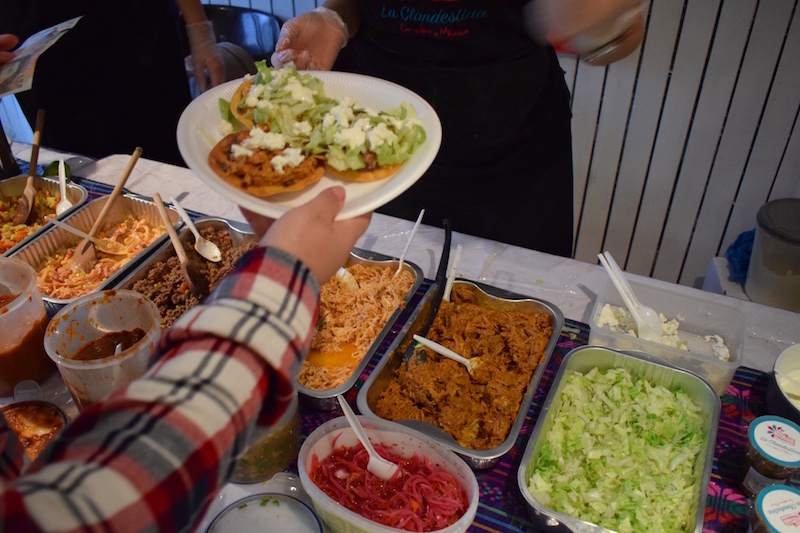 After months of preparation, weeks of rehearsals and a day and night of cooking, the second Latin American Encounters fair was ready for action. 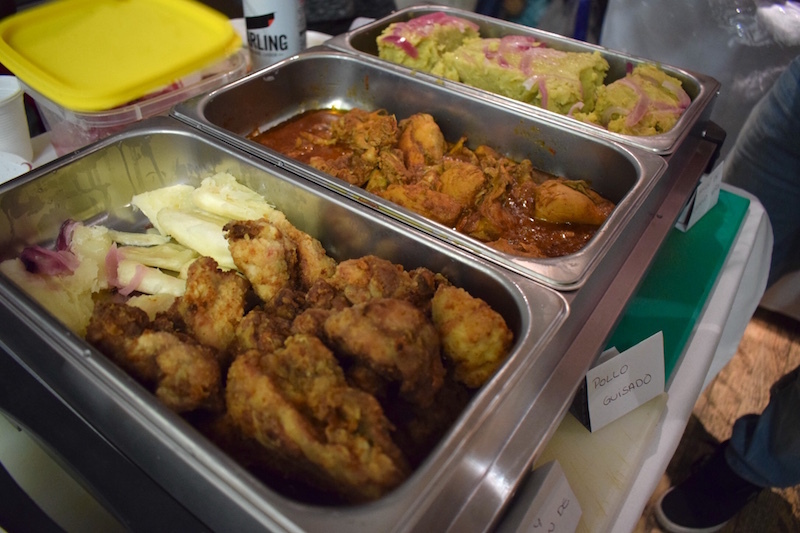 People spilled in eager to taste the flavours of the continent placed in stalls circling the hall of the Malcolm X Centre in St Paul’s. Pasitos is a Spanish school for young children, based in Horfield. On the day they offered face painting, playdough, drawing, collage and a healthy amount of glitter. The workshops were all carried out in Spanish and the room was full all day long. There were also tandem English-Spanish conversations for people of all ages upstairs, next to our BristoLatino stall where we met many friendly members of the wide Bristolian latino community. The music presented a variety of ages and styles. 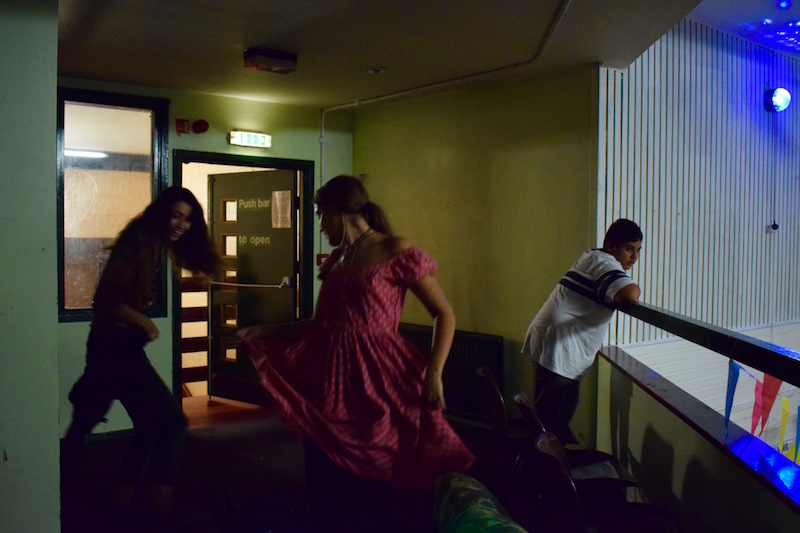 There was Chilean folk music and a young singer, the Colombian Laura Cruz, what seemed an impromptu but incredible performance from Jose Moneo with Flamenco Loco, and of course all our favourite popular Latin dance songs played ’til late by Edward and Rigo. Stars of the show also included three young Dominican merengue dancers, hair neatly pinned up with huge red flowers, in national colours and with long flowing skirts. Other stars were the raffle winners announced after a saucy zumba session. We have to put our hands together to thank Edward Hernandez, Jose Campo, Mariana Roccia and their team at Latinos Plus for all of the thought, time and effort put into organising the fair. It was a very special day full of joy, colour, flavour, rhythm and pride. Let’s hope the event continues to thrive and grow as it has up until now, with some 400 people contributing and sharing this year. 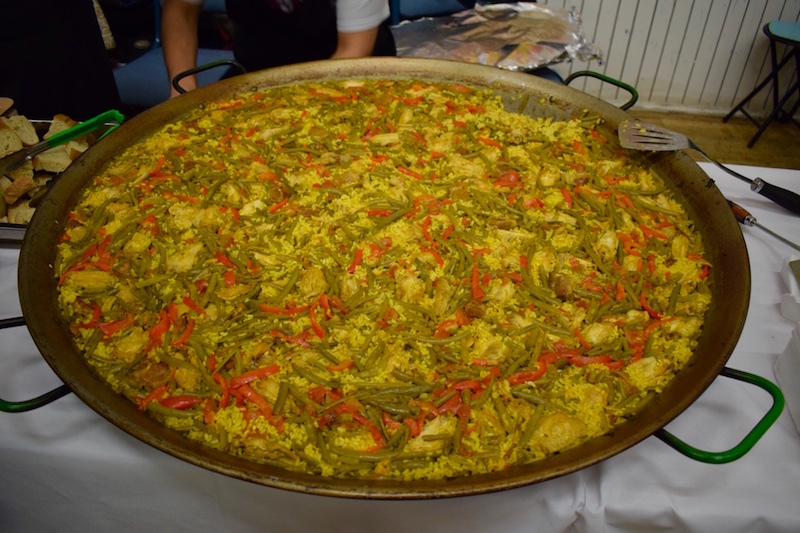 The biggest paella you’ve ever seen?